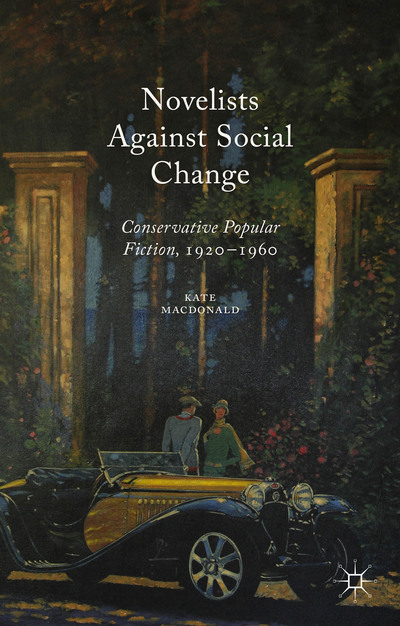 This is my very own book, that I’ve been writing for what seems like forever: a long study of how John Buchan, Dornford Yates and Angela Thirkell wrote their conservatism into their best-selling fiction. It’s now finally been published, with stunning cover art by Barry Rowe. You can order the book here. I’ll be talking about the book, and about John Buchan and The Thirty-Nine Steps (fluffing the ad hoc recap of the plot terribly), on the Guardian Books podcast today. Then they asked me to write a piece about Tory fiction more generally. I also posted a piece on Vulpes Libris about how the podcast came about, and how being recorded is like playing tennis with words. Certainly! Will send it pronto. The cost is (brace yourself) £55, but that’s actually very reasonable for an academic publisher. Great, I’ve been waiting for it for ages. Is it in the post now, do you think? And even met an old friend the other day whose daughter works at Palgrave. Very propitious! It should be in the order processing queue now, so perhaps chase them if you haven’t had it by next week? I have been waiting for this book for years now – a legacy from my God-Mother who had been waiting for it before her death two years ago. She will not read it and I will not read it: too expensive for my meagre means… What a pity! But well, I am glad for you.